Alright, last (I think??) 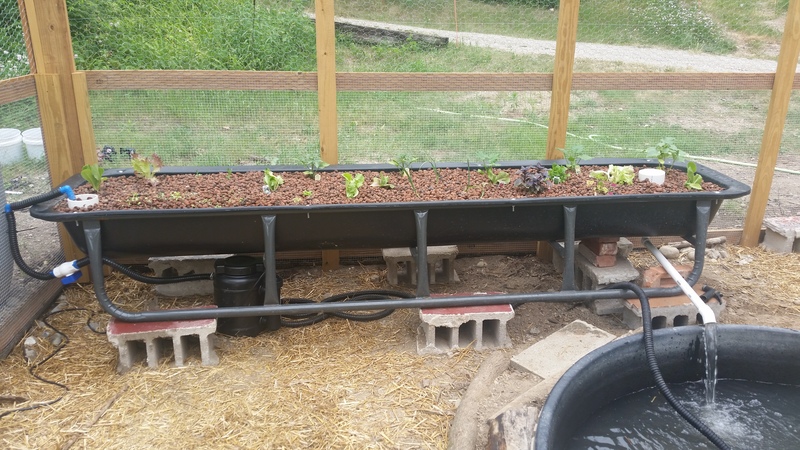 but not least of the “catching up” posts… the quackuaponics system! A.k.a. 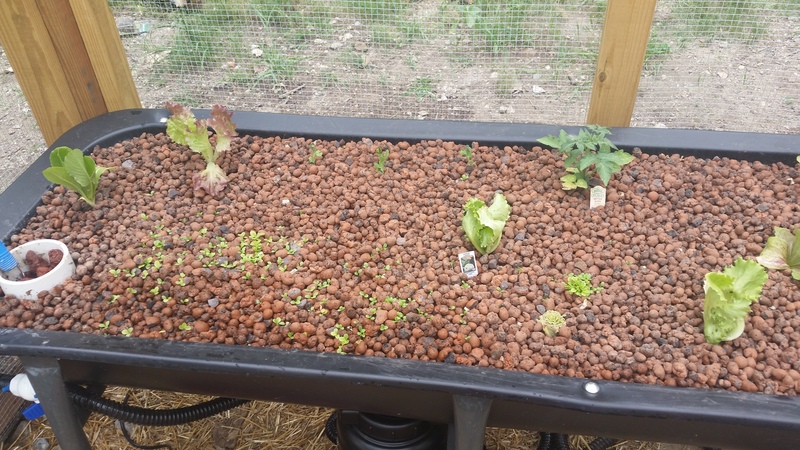 Duck aquaponics, a.k.a. duckponics, a.k.a. “you guys are 100% crazy,” etc. But, bear with me here. We got a 260-gallon preformed pond for the duck run (specifically, this MacCourt one at Menard’s). 1. Creating a “flow-through” system by running a siphon line from our (uphill) pond, into the duck run pond, and then an overflow line out of the duck run to the (downhill) stream. I still sort of love this idea, but the downhill side is not very downhill, so I’m not sure if physics is with us on this one. 2. Extending the duck run about 10′ to the west so that it actually spans across the stream that runs by there. Maybe dig out a deeper section of the stream to make a small “natural” pond within the duck run. I also love this idea, but it’s for sure the most technically complicated. We also worried about how to span the stream but still keep the duck run predator-proof. 3. Fence an area outside of the run (including a section of the stream) so that the ducks can “free range” out there during the daytime. This will reduce the “input” into the artificial pond in the run, and will also allow them to forage on vegetation, hang out in the stream, etc. This will be happening as soon as I can get some fencing set up. 4. 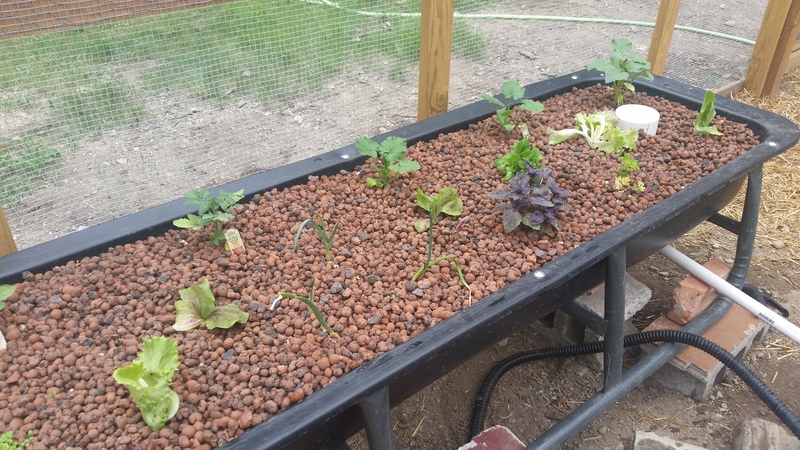 Set up a grow bed filled with plants to help remove the excess nutrients from the water. As an added bonus, we could use it to grow food for the ducks! This just seemed like a fun project to tackle, so we went for it to see if we could get it to work. The container we used for the grow bed was actually this bunk feeder that we spotted at a local farm store. It has a 15.5 cu ft capacity with close to a foot of depth, so it has great proportions for this usage. I filled the bottom ~2/3 with lava rock and the top ~1/3 with clay pebbles. This was primarily a financial decision, because the clay pebbles are about 10x the price of the lava rock! To build the bell siphon, I watched a bunch of Youtube videos but ended up following this one the most closely. It definitely required a couple different trips to the Big Box hardware stores to get all the parts and pieces, but once we had everything it was actually amazingly simple to put together. One issue we confronted from the get-go was that the ducks are just SO messy that the inflow to the grow bed would get plugged up–mostly with bits of straw and other solids that were not being removed from the system. Without sufficient inflow, the siphon would not initiate. (I also learned that with too MUCH inflow, the siphon won’t break… it’s a Goldilocks sort of situation.) I mentioned in a previous post that we were thinking of building a swirl filter to deal with this problem. We decided instead to take a lazier route, and bought this little Total Pond 1200 GPH filter from Home Depot (you can see it tucked below the grow bed in the photo below). We’ve only had it up and running for a couple days, but it definitely seems to be helping so far. It remains to be seen how long we have before the ducks also conquer its filtration abilities. 🙂 If that happens, I’ll probably try a swirl filter in line before this filter, and see if that removes enough solids to keep everything up and running. We also planted a bunch more stuff, including many different types of greens (romaine lettuce, red-leaf lettuce, radicchio, arugula… these are going to be some fancy ducks, eating their arugula) and also plants that can climb the wall of the run (snap peas, zucchini, and even little sugar baby watermelons!). This is all very much an experiment, so we’ll see what’s successful in here and keep you posted!